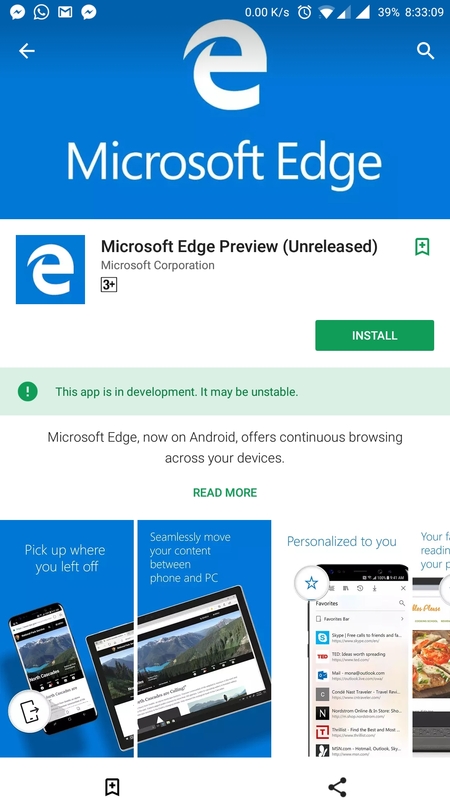 The Name of App is “Microsoft Edge Preview” which will change after they run out of their test phase ,The App is 56 MB in size. 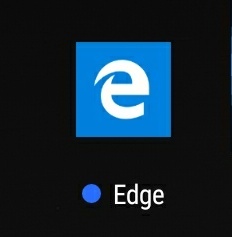 In the App drawer the package name is “Edge”. Microsoft moved the Settings button and New Tab to the bottom right , which makes sense as its more natural to use the phone with one hand and browse and move along tabs and go into settings. Microsoft Edge has focused on their “Reading View” enabling a mark-down approach of articles where all irrelevant items are removed so users can focus on reading their article, Reading View can also be customized to user liking changing font size and background colour etc. 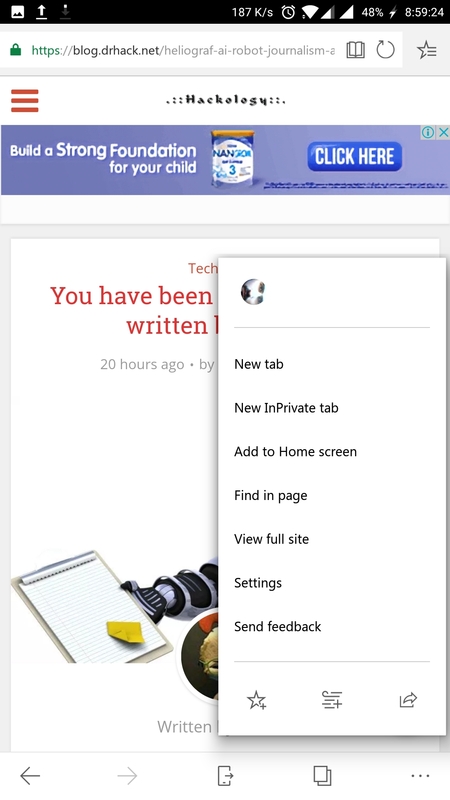 Microsoft Edge Preview comes with sync data option between the mobile browser and Edge on the desktop. 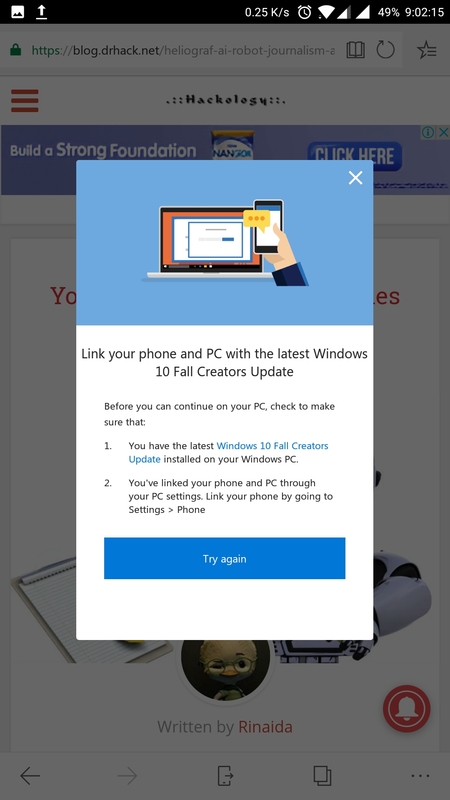 This requires the Windows 10 Fall Creators Update , which will be released on October 17, 2017. 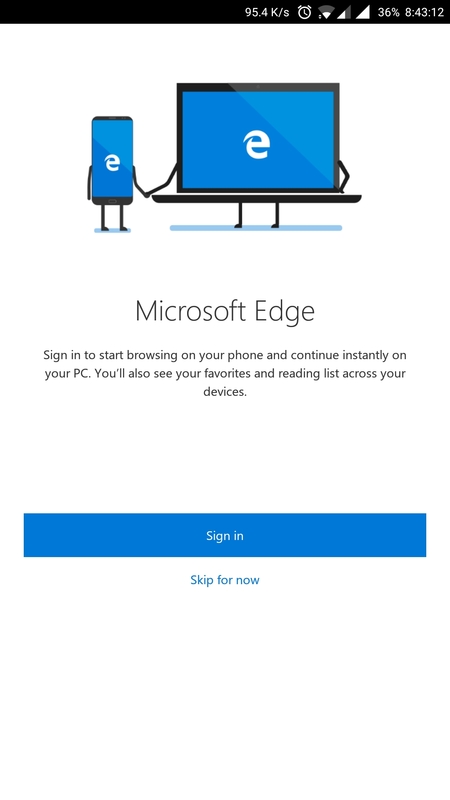 Favorites and reading list are synced across devices and users of Edge may use the “continue on PC” feature to move content between mobile devices and PCs. 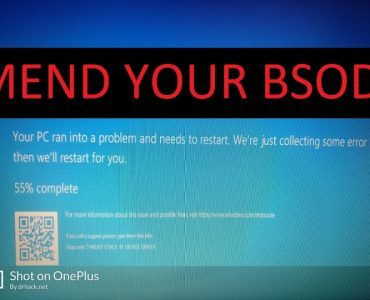 To Setup Sync Browsing we need to link our Android device with Windows 10 running PC, although doing that would require you to wait a bit as mentioned above. Edge browser comes with features already seen in the desktop version of Microsoft Edge. 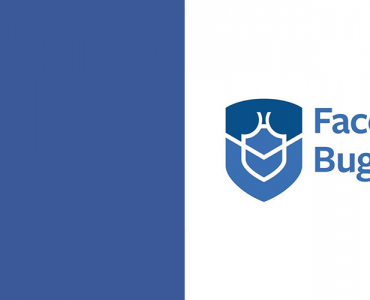 Favorites and reading list have been mentioned already; there is the hub view which acts as a library and provides access to favorites, the browsing history, books, and reading list. 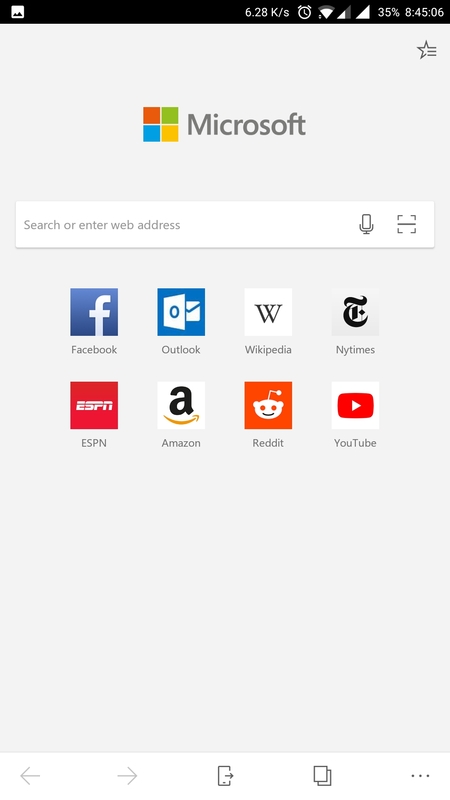 Microsoft Edge for Android is any better ? 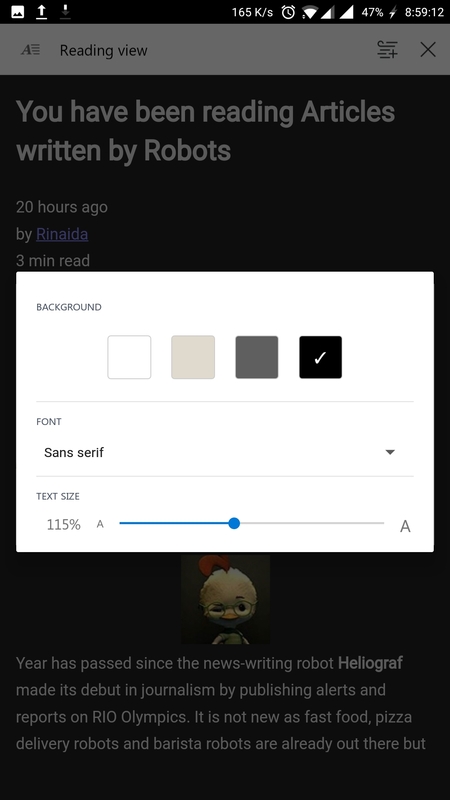 Microsoft Edge Preview for Android using Google Blink engine instead of Edge Code because of which I noticed it opened quickly on the first load , site loads were normal, offers good web compatibility and app would hang if I hit the “Back” button while loading any URL from within the settings tab while its not done. 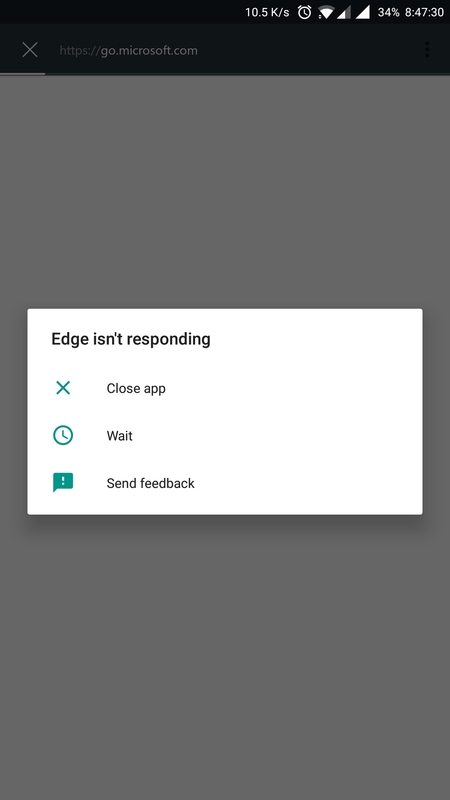 As you can see below doing that even got the Microsoft Edge is not Responding Error message. 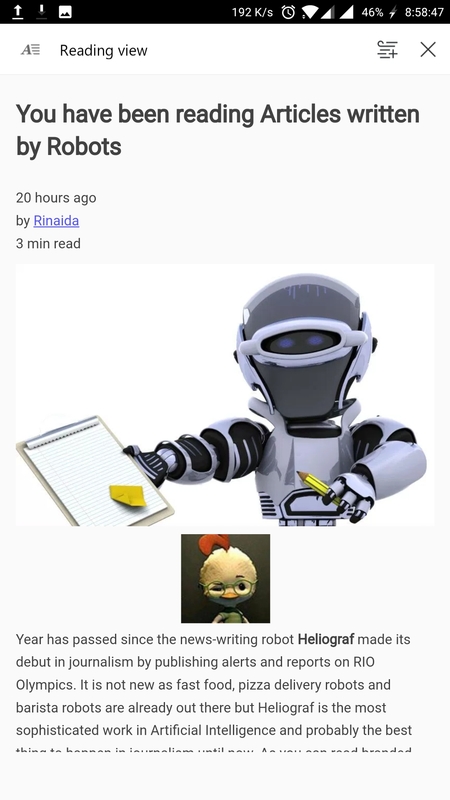 What is your take on Microsoft Edge for Android ? 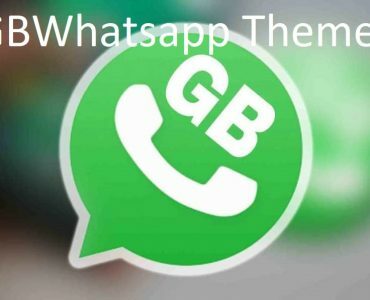 What will make you use this App ?